Ultra-thin, ultra-narrow edge, ultra-light design, can be easily spliced and installed. Excellent ultra-narrow edge design, after two adjacent screens are spliced together, the seam does not exceed 1.8 mm. Compared with the 55-inch screen, such a small edge is almost negligible; it does not affect the overall display effect of the curtain wall. The use of LED backlight, a thorough solution to the traditional CCFL backlight leading to edge blackening, backlight unequal technical difficulties, fully reflect the perfect visual effect. Power supply and image processing module adopts embedded modular structure design, which makes maintenance easier without affecting the overall beauty of the product. The splicing system has high-speed signal processing technology to ensure the real-time processing of high-resolution signal input and output. It uses DDR technology as high-speed data buffer and pipeline technology to process high-speed signal in hierarchical order, which ensures the real-time performance of the signal. Support 16 kinds of shortcut mode control, users can change the shortcut mode according to their needs. Fast mode can be controlled by control software, infrared remote control, or other third-party central control equipment. It also supports renaming the shortcut mode, which can be easily invoked by the control software. 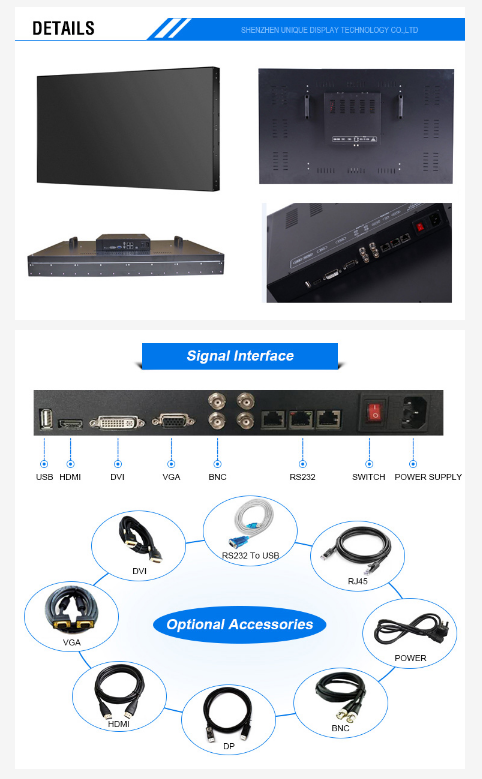 It can realize the powerful functions of multi-user remote operation, display mode management, signal source management, window management, unit control and plan management of large screen display wall, and all operations can be completed on the same control platform, and support infrared and RS232 serial port control. 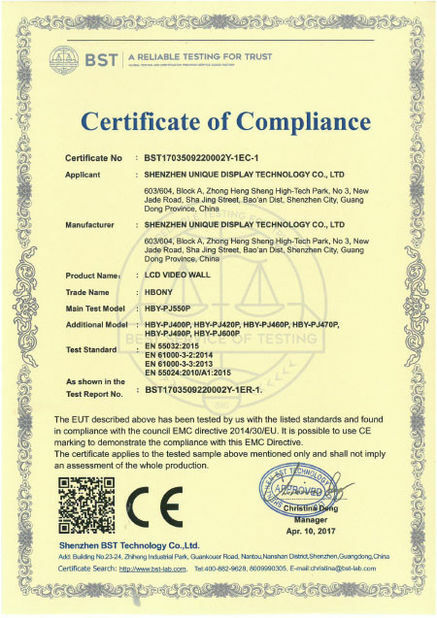 Low electromagnetic radiation, strong anti-interference ability, the motherboard after EMC testing, the whole machine meets the EMC design requirements. Pure hardware design, no CPU, memory, hard disk, no need for operating system support. Multi-bus parallel processing, powerful processing function, no risk of virus infection, good security, power can work. Start time is less than 5 seconds, the picture will not delay, tail or appear mosaic and other undesirable phenomena, high stability. Supports 24-hour, all-weather continuous operation, with constant temperature control system. Professional A-level spliced DID LCD screen, visual angle 178 degrees. Super high contrast, super high brightness, the contrast and brightness of traditional TV screen and ordinary PC screen are higher than one to two times. With better color saturation, the color saturation of ordinary LCD and CRT is only 72%, while that of DID LCD can reach 92%. Compared with PC LCD panels of TV, DID LCD panels have higher brightness. 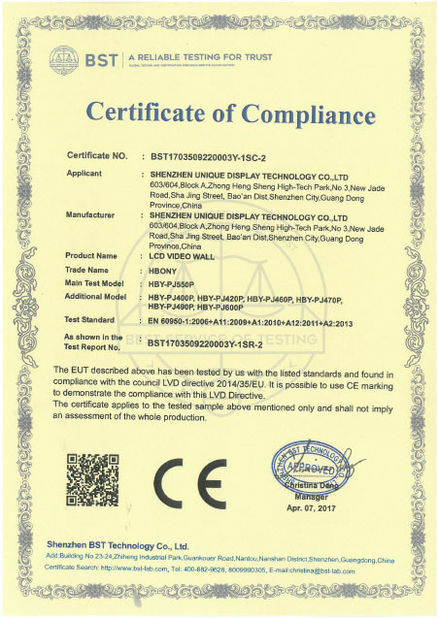 The brightness of TV or PC LCD panels is generally only about 250-450cd/M2, while the brightness of DID LCD panels can reach more than 450-700 cd/M2. The service life of ordinary PC and TV LCD backlights is generally 30,000 to 50,000 hours, while the service life of DID LCD backlights can be more than 60,000 hours, and ensure the consistency of brightness, contrast and chroma of each LCD panel used in the spliced curtain wall after long-term use. 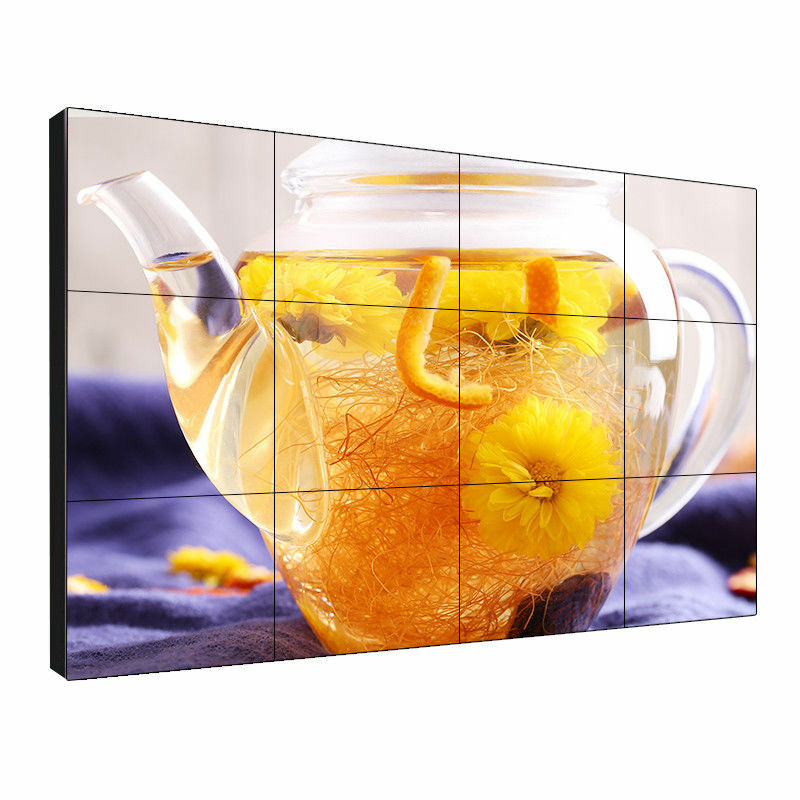 The patented 120HZ frequency doubling refresh technology can effectively solve the tailing and blurring in the process of fast motion of images, enhance the clarity and contrast of images, make the picture clearer, and make the human eye not easy to watch for a long time and fatigue. A complete image signal can be displayed on N mosaic display units, an independent signal can be displayed on each screen, and other combined display modes can be realized by control software. Supporting in-picture and out-of-picture functions, VGA and video single-screen overlay roaming display can be realized. Built-in 3D noise reduction function, clearer image contour, more quiet screen display. Full video, 10BIT video data processing, 3D comb filter, clear image. Automatic detection of signal source, image amplitude stability. Automatic detection and recognition of various standard signals, the highest support for uncompressed real-time UXGA (1920 *1080) and high-definition 1080P format signals. All signals can be recognized automatically and adjusted and transformed according to the user's requirements, such as window size, display position, image proportion, etc.